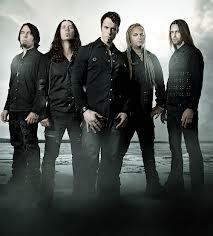 Kamelot: Teaser trailer for new album posted. A new teaser for "Haven", the forthcoming album from American/German/Swedish symphonic metallers KAMELOT, can be seen below. The CD will be made available on May 5 in North America and May 8 in the rest of the world (excluding Asia) via Napalm Records as part of an exclusive licensing deal through the band's Kamelot Music LLC.